Rent a house in Thailand | Baan Talay Samran Estate consists of 39 individual villas and a condominium building with 40 units, situated at a beach location only a few kilometers from the Cha-am main town center. The estate is embraced by a lovely tropical garden and three swimming pools. All units are individually owned. Some owners live there themselves while others rent out their villas and apartments. Cha-am located only 180 km south of Bangkok and 25 km north of Hua Hin. It is just a two and a half hour’s drive from Bangkok and Suvarnabhumi Airport on the newly upgraded highway. You transport yourself into a different world of long, often empty, white sandy beaches, great seafood, blue skies & lazy days. Besides the five mile long beach there are six world-class golf courses within half an hour’s reach of the resort. This is definitely the best value choice for your stay in Cha-am! 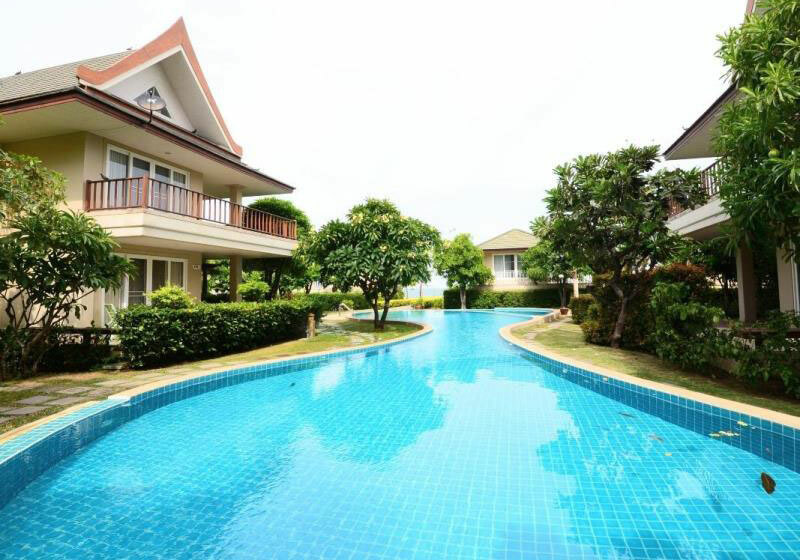 Short Description: Rent a house in Thailand | Baan Talay Samran Estate consists of 39 individual villas and a condominium building with 40 units, situated at a beach location only a few kilometers from the Cha-am main town center.